This entry was posted in ActiveDirectory, Cloud, Exchange, WindowsServer by James. Bookmark the permalink. Hello, I was directed to this blog via the Office365 education Blog. We have a similar setup, and information has helped me tremendously. I wondered if you’d managed to get this to work with Windows 8 RP (IE10) as the usual method for modifying the user agent via GP isn’t possible in IE10, and the old method of adding a string to the registry doesn’t appear to work either. Thanks for your comments Martin. We haven’t look at this yet but certainly will when Windows 8 is released in a few weeks’ time. I would hope that Microsoft will release some updated GPO settings for this but we’ll see. If you get anywhere before we do please let us know! Just a note that Internet Explorer maintenance is gone from the Windows 8 / Server 12 tools so you can’t set it that way anymore. I was experiencing a similar problem at my University and stumbled upon this post. This information is fantastic! However I opted to go with a variation of “Possible Solution 2″ (pushing out a HOSTS file to all of the domain joined computers). But rather than push out a HOSTS file that could potentially overwrite an already customized file, I wrote a simple batch script to scan the computer’s existing HOSTS file and append the WIA Farm IP if it’s missing. The script is defined in Group Policy under Computer > Policies > Windows > Scripts > Startup. So now our DNS server provides non-domain joined devices with the IP of the ADFS proxy farm (FBA) and domain joined machines use the value injected into its HOSTS file to get to the non proxy farm (WIA). I haven’t found a downside to this method yet. Hopefully someone else will find this useful. IP and FQDN values need to be changed for your environment. Mind the word wrap. Great Blog! One thing I’m going to test is to adopt the same approach but use an F5 load balancer, this way you don’t have to tweak the code at source and get the F5 to direct user traffic based on the user-agent string. Thanks for this post, it’s excellent. 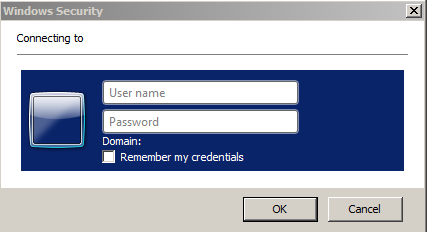 One question – what authentication settings did you use for the site/v-dirs in IIS? The ‘Default Web Site’, ‘adfs’ and ‘ls’ Virtual Directories? We had a similar issue its possible to determine the Windows machines from the UserAgent string because they have WinNT in the string IE 10 passes the Domain in the User Agent string, IE 11 does not. This also worked for chrome and the other browsers on a Windows machine authenticating them as AD whilst switching various phones and tablets and Macs to Forms Authentication. Chrome you need to configure the site as trusted for this to Work on a Windows machine. Our scenario is this was the testing code for the adfs farm on the internal network the one in the DMZ handles the devices on the internet. We set the adfs forms Website to anonymous authentication. This code will allow exploration of the options for your network. Yet I cannot find any further documentation on how to achieve this. By default, this doesn’t work in our lab environment. Has anyone managed to get this working in Windows 2012 R2? It’s annoying how MS assume everyone has split DNS.. This does work in ADFS 3.0, the internal farm fails back to FBA for non-domain joined clients. You may see the basic pop up behaviour if you haven’t added your federation endpoint URL into your local intranet sites ie sts.contoso.com. So I’m working with a ADFS 2.1 server (2012) and would like some clarity on adding the last part. Do you replace or just add it in at the beginning of the sub?